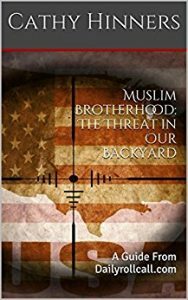 The Methodology of Dawa is another lengthy, but informative tool we must read to gain insight on how Muslims use Dawa (the proselytizing of Islam) not only to exploit the caring nature of Christians and Americans, but cause division among them. Written by Shamim Siddiqui, it reveals the deceitful ways Muslims use their faith to garner trust and support within their non-Muslim communities. The following are excerpts from this book, which help to shed light on their true intentions. As American parents struggle to stop the infiltration of Islam in a religious context in our public school textbooks, Islamic schools are promoting something else. Ridiculing Christians and Jews. One textbook, used in Islamic schools in Knoxville and Nashville TN is “What Islam is all about” by Yahiya Emerick. “You have already been given the command in the book, that when you hear the signs of Allah being insulted or joked with, you are not to sit with them unless they start talking about something else. If you stayed with them while they were insulting Allah, then you would be like them. Allah will gather all hypocrites and unbelievers in hell”. These passages, taken from their own documents and books are supplemental to the Hadiths and Sunnah, which further prescribes the actions “good” Muslims must follow. Through legal means, (and other ways) their playbook has been revealed. They do not deny or dispute the contents. Only those that are blind or in denial do. and dying in the way of Allah is our highest hope. Wake Up America! You must start paying attention- when we, try to talk to you- don’t just smirk! The future of your children and grand-children is at stake! Do you want them, to live under Islam? Evil!